Although considered by many to be poor nation. You are unlike to see your average Cuban going barefoot. 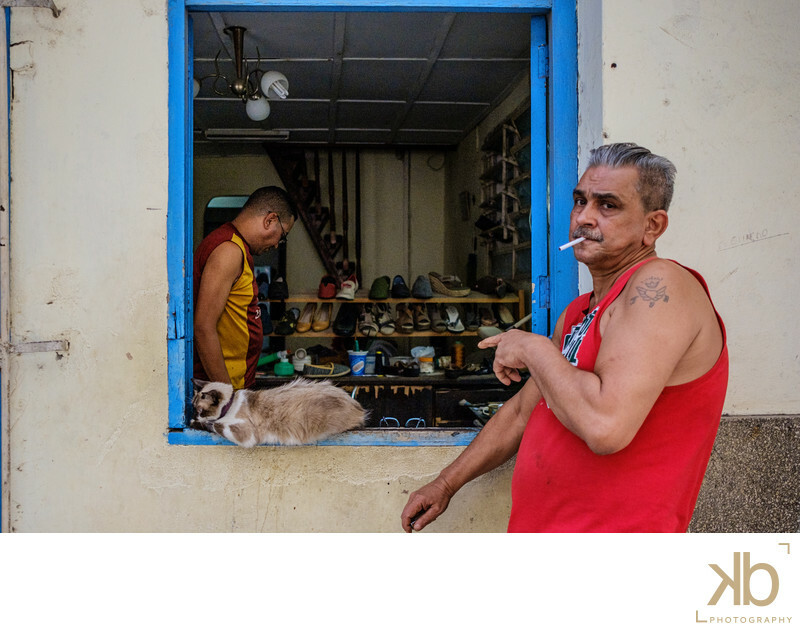 Cobblers and shoemakers are highly respected in Havana’s working class communities. These artisans mend, reconstruct, and create the very shoes that prevent Havana’s, mostly pedestrian, population from going barefoot.Keywords: Havana Cuban Cobbler Cuba Cuban Men Aging in Havana Washington DC Photographer Washington DC Wedding Photographer Washington DC Engagement Photographer Washington DC Documentary Photographer Documentary Photographer in Cuba Washington DC Fine Art Photographer Most Expensive Washington DC Photographer (3).